If you have the constant need and urge to stay connected with your friends, be it in the form of chatting, talking or just seeing what your friends are up to, and you want to do all these on mobile, then Fring is for you. 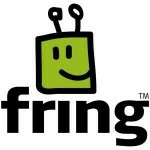 Fring runs on your mobile and gives you instant access to Skype, MSN Messenger, ICQ, Google Talk, Twitter, AIM & Yahoo! buddies on your mobile. And best of all, it’s totally FREE! Almost all Java, Linux, Symbian and Windows Mobile phones are supported. Fring is compatible on most new mobiles, and you can also check for your mobile compatibility on the download page. 2. Fring supports more mobile platforms. JiveTalk (BeeJiveIM) only runs on IPhone, iPod touch, Blackberry and Windows Mobile. 3. Fring supports Skype. In fact, it’s the first 3rd party application that I’ve found that supports the Skype protocol. FYI, The skype protocol seems to be the hardest to reverse engineer, and all services/application that does IM consolidation such as Trillian, Meebo, Miranda, Digsby deson’t have Skype supported yet. Having Fring done that is a good example for other 3rd party applications to follow and provide support for Skype.